Tarte, a cruelty free brand, has become known largely for their Amazonian Clay 12-Hour blushes. 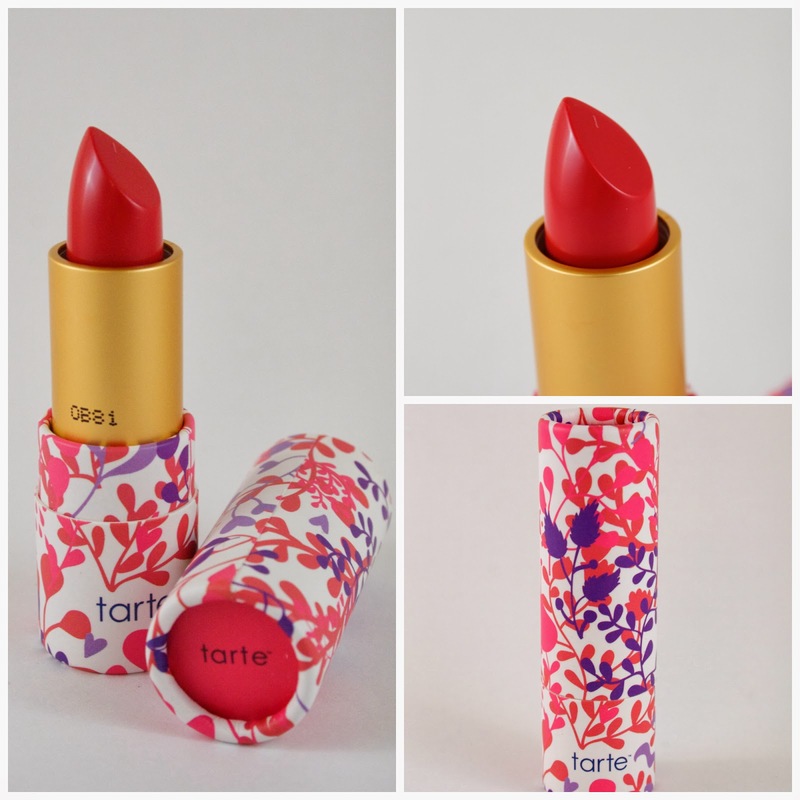 In their Amazonian Butter Lipsticks, Tarte has combined the 'Amazonian' wave of success they have been riding for the past few years, with the 'lip butter' trend that virtually every makeup brand in existence has jumped on. The result is a line that offers 8 shades of lipstick, each housed in a cute cardboard package with a different print. Poppy is described as a warm red, but it comes across as more of a warm rose with a hint of red to me. It applies as a sheer color with a high shine finish. Poppy is a beautiful, highly wearable color. 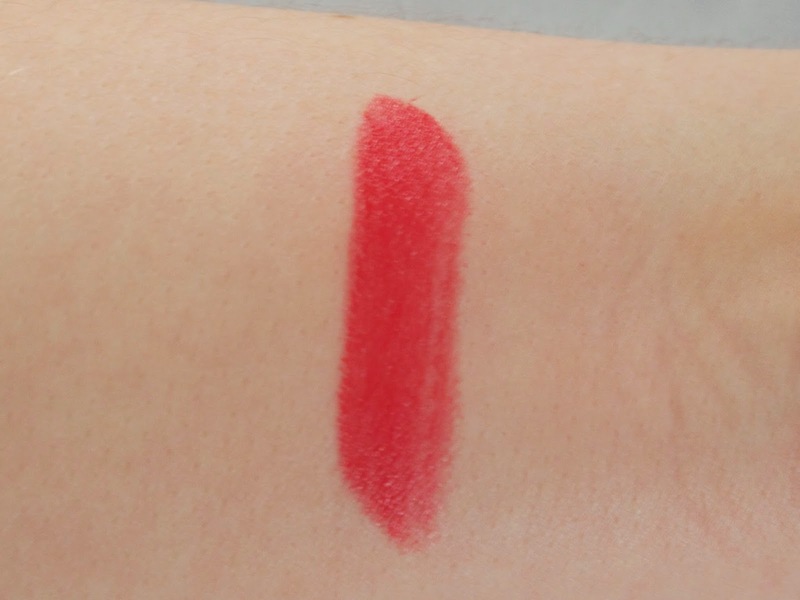 Perhaps due to the sheer nature of the formula, it comes across as a relatively muted, yet fresh shade on the lips. While I love the color of Poppy, I was not overly impressed with the formulation. 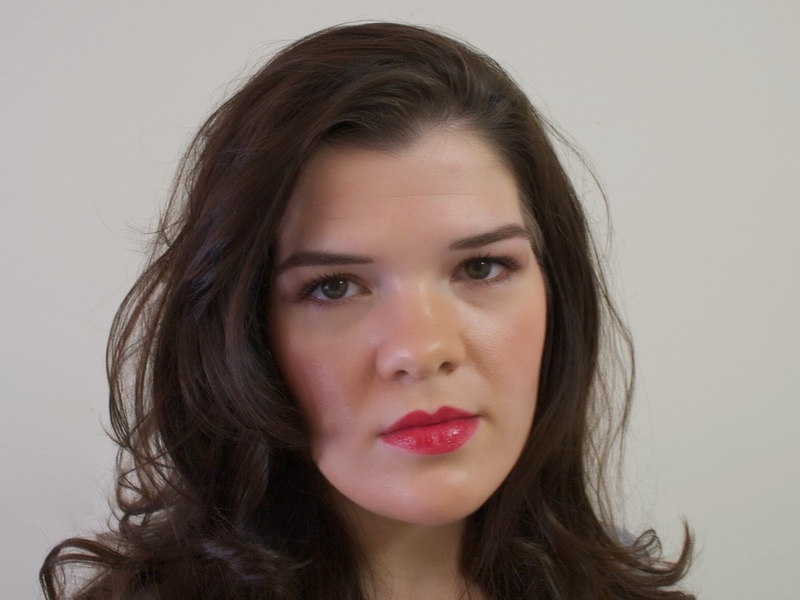 I do enjoy sheer lipsticks, but the lasting power on this lipstick was lacking. It didn't stick around long on my lips before needing to be reapplied. The feel of these is very similar to those of the Revlon Lip Butters--emollient and even a bit slippy on the lips. It doesn't feel like Poppy is drying out my lips, but it certainly doesn't seem to be hydrating them, either, despite Tarte's claims that the "sustainably-harvested cupuacu and murumuru butters to deliver intense moisture and help restore and soothe even mature lips." I am also nervous that the cardboard packaging won't be strong enough to stand up to the beating it would undoubtedly receive if I carried it around in my makeup bag. These lipsticks have the same mint scent as the Tarte Lipsurgence Lip Crayons do. It smells refreshing, but there's no tingling sensation on my lips. All in all, Poppy is a beautiful color, so by all means, if the need for reapplication doesn't bother you, give it a look. Those looking for a subtle, understated lip for spring may also enjoy this--especially if you are working on getting the courage to wear a bolder lip! The Tarte Amazonian Lip Butters are available at Ulta for $16.00. Please follow me on on Bloglovin', Twitter and Instagram!